Posted December 3, 2015 at 3:06 pm by M&M Mechanical, Inc. & filed under General Tips . Efficiency. Staying on top of your HVAC system’s maintenance is going to allow it to run at maximum efficiency. It means that your home is going to be heated and cooled quickly and easily, with fewer problems and it’s not going to cost you a lot of money to do so! Lower energy bills. The more efficiently that your HVAC system runs, the less energy it expends. The less energy that it needs to expend to work, the lower your energy bills! Keeping your HVAC system in good working orders is one of the easiest ways to lower your energy usage and keep your bills from getting unnecessarily high! Fewer Repairs. By checking your HVAC system regularly for any problems that may pop up, you’ll have less repairs to worry about! Preventative maintenance is much less expensive and easier to deal with than waiting until a problem arises to call in a professional. Less Emergencies. Nothing is than worse than worrying about your heat go off in the middle of the blizzard. The odds of this happening might be low, but it’s important to do everything you can to prevent an incident like this. Having your heating and cooling system regularly inspected and cared for will greatly diminish the likelihood of an emergency in your home, allowing you peace of mind that your family will be safe during any harsh winter storms. Is it time to schedule your annual maintenance appointment? Call us today! Posted November 12, 2015 at 2:20 pm by M&M Mechanical, Inc. & filed under Equipment Tips . Posted October 29, 2015 at 3:19 pm by M&M Mechanical, Inc. & filed under General Tips . Carbon monoxide is deadly gas that is completely odorless and colorless. It has no taste, and the symptoms of carbon monoxide exposure can present very similarly to those of the common cold. All of these things make carbon monoxide extremely difficult to detect, which is why it’s so important to always be checking to make sure that the gas isn’t present in your home. The first thing you need to know about carbon monoxide is that it can be emitted from a variety of sources common to your household or office building, including your furnace. This means that if you spend time inside a residential or commercial building at any point during your day, you are susceptible to being exposed to carbon monoxide. This, of course, doesn’t mean that you are being exposed, but understanding where carbon monoxide originates from will help you be more aware and remind you to check for carbon monoxide regularly. The initial symptoms of carbon monoxide exposure are similar to the flu, which is why many people often mistake carbon monoxide poisoning for something else. It’s never a bad idea to get yourself checked out if you’re experiencing headaches, fatigue, shortness of break, nausea, or dizziness, especially if these symptoms present without a fever. More severe CO poisoning can lead to mental confusion, vomiting, loss of muscular coordination, loss of consciousness, and death. Thankfully, there are ways to detect and avoid exposure to carbon monoxide. The easiest way to check for carbon monoxide in your home or office is to install a CO detector. Much like a smoke detector, a CO detector will you alert you to when there is a dangerous level of carbon monoxide in the air. CO detectors should be installed in all of the bedrooms of your home, as well as communal areas such as your living room. Be sure to always choose a reliable brand that is labeled as approved by governmental health and safety institutions. Our technicians are well trained in knowing how to test for carbon monoxide and where to look for possible leaks and faulty equipment that can contaminate your home. Give us a call today to schedule an appointment! Posted October 15, 2015 at 1:15 pm by M&M Mechanical, Inc. & filed under General Tips . Indoor air quality is as simple as it sounds! It’s the quality of your air in a structured place, for example your home or office. According to the Environmental Protection Agency, the average person spends 90% of their time indoors. The quality of the air inside your home or workplace can affect your health, comfort and could be damaging your HVAC unit. Depending on what kind of condition your indoor air is in, it could be worse for you than outdoor pollution. It’s extremely important that you are doing everything you can to make sure that your indoor air quality is not harmful and your home is getting proper ventilation. Poor indoor air quality can cause huge health concerns and cost you more money in the long run. Without proper maintenance on your HVAC unit, your indoor air quality can become worse and eventually hurt your unit. If you want cleaner, healthier indoor air, we can help supply and install the latest air filtration systems, air decontaminating UV lamps, dehumidifiers, and humidifiers. We also wanted to provide you with some DIY tips to help improve your indoor air quality! Air Filters: Changing your air filters is one of the best ways to keep the air in your home healthy. Make reminders for yourself every month to change your air filters or, if you have re-usable filters, to clean them. Not only does changing your air filters help improve your indoor air quality, but it will also help you save on your next bill! Dust and Vacuum: Normal household tasks, like dusting and vacuuming, can help improve your indoor air quality greatly. Try dusting with a wet rag instead of a feather duster to make sure that the dust doesn’t spread or just fly back up in the air! Another tip while you’re vacuuming is to set your thermostat fan setting on, so that you’ll vacuum up the dust from any dusty air filters instead of sending it back into your home! Air Filtering Plants: Did you know that some plants actually help filter the air in your home? A few plants that could help improve your indoor air quality are English Ivy, Bamboo Palm, and Gerber Daisies! Need more tips or have more questions about what you can do to make sure the air you and your family are breathing is as healthy as possible? Give us a call – we’re here to help! Posted October 1, 2015 at 10:26 pm by M&M Mechanical, Inc. & filed under M&M Mechanical . There are a lot of HVAC companies and technicians out there, so how can you be sure to choose the right one? Selecting a service provider can be quite overwhelming, and it’s often difficult to know exactly what to look for when making a decision. Many homeowners have benefited from relying on certifications from the North American Technician Excellence (NATE) to ensure high quality service. 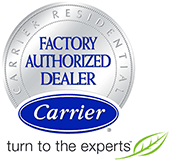 When hiring a NATE certified technician, you can be sure that you are receiving help from the most reliable professionals in the industry. They will save you time. The certification processes tests a technician’s ability to handle a broad range of complicated situations. With this comprehensive experience, NATE certified professionals are able to quickly identify an issue’s source and solution. They will save you money. NATE certified technicians are trained to optimize efficiency. Keeping your heating and cooling systems running at peak-efficiency levels will allow you to limit energy waste and save money on utility costs. They will give you peace of mind. NATE is the top certification program for HVAC service providers, and their measurements of quality are extremely influential. With NATE’s seal of approval, you can rest assured that your home will be in good hands. When it comes to your home, you should always prioritize high quality. Take the guesswork out of finding a service provider, and choose a certified NATE technician, like those here at M&M Mechanical, Inc.